Take a spin on the Wheel of Fortune with Jaya! Jaya has been working with tarot cards for over 15 years. 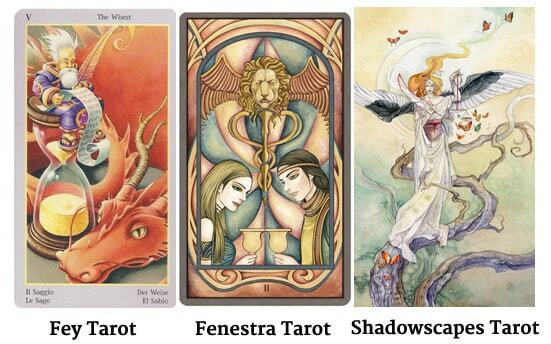 She works with both traditional and “artsy” tarot decks. You can choose which deck speaks to you. All of Jaya’s decks are positively oriented and beautiful, no dark or sinister messages. A typical reading lasts between 30 minutes and one hour. You arrive with an issue in mind needing clarity. Jaya acts as a facilitator and “interpreter” by your side to guide the reading. Your intuition about what the cards are saying is just as important as Jaya’s. The images on the cards access higher wisdom through working directly with the super conscious and subconscious mind much like hypnosis. Together, we quickly and easily uncover wonderful insight and assistance on your life path! Emphasis is placed on clarity in the here and now and not on “fortune telling.” Readings are light and safe, not scary hocus-pocus as portrayed the movies! Extra cards may be pulled from other decks to provide a meditation, or “wild” cards. 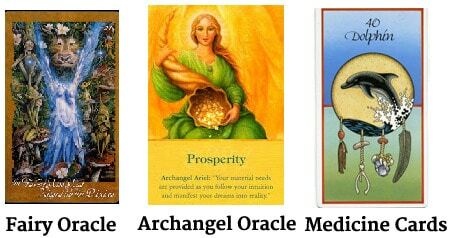 These decks include Brian Froud’s Fairy Oracle, Jamie Sams’ Medicine Cards, Doreen Virtue’s Archangel Oracle and more. Sessions can be in person or online. Tarot readings are also a beautiful addition to Jaya’s other modalities for added insight before a deep healing session!